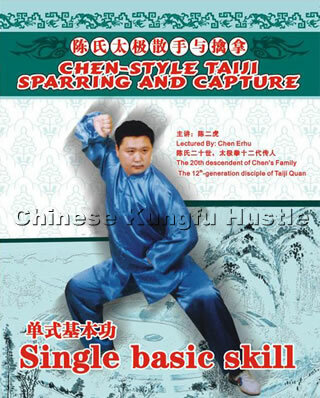 Single basic skill is essential for mastering the actual combats of Taiji Sparring. It is good for drilling the explosive force, flick force, and even the hardness of forces, and upgrading actual combat skills such as ward-off, roll-back, pressing, push-down, pull-down, splitting-elbow, leaning and so on. It's required the learners should lay a solid foundation before having the exercise. When exercising, be sure to relax, cluster the whole body with qi, boost hand techniques and make footwork flexible. This product was added to our catalog on Thursday 24 June, 2010.